Microsoft has long been rumoured to be working on a foldable dual-screen device codenamed Andromeda with Qualcomm’s Snapdragon processor. At Computex, both Asus and Lenovo unveiled the dual-screen Windows 10 laptops. It appears that Intel has been also working on a dual-screen Windows-powered PCs for almost two years, and the chipmaker presented the design concept at Computex. Intel Tiger Rapids runs Windows 10 operating system and features a dual displays design. It also uses a hinge in the middle to enable foldability, and interestingly, Intel is using electronic paper displays (EPD) for the display. It took Intel almost 3 years to build a working prototype and the company is still working on this device. The chipmaker hasn’t confirmed whether or not a similar ever make it to the market. Intel has codenamed its project Tiger Rapids and it looks very similar to Lenovo Yoga Book 2. 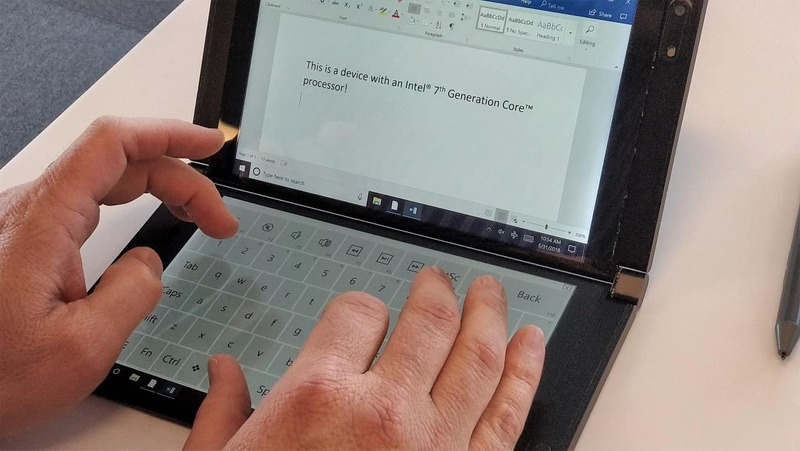 The Intel Tiger Rapids would display the keyboard on any one of the screens, and the prototype appears to have two 7.9-inch LCD displays. It’s 4.85mm thick and comes with necessary outputs including a USB Type-C port. The device is powered by the latest Kaby Lake processor. Interestingly, it can offer up to 13 to 15 hours. Such a device with Microsoft’s Windows Core OS would offer advanced capabilities and longer battery life. 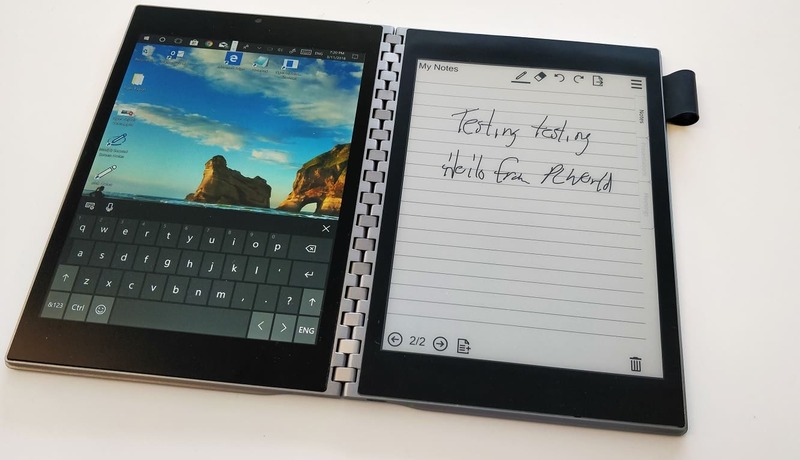 While Microsoft has also lost out on mobile, and there are no Windows Phones out there, the software giant believes that this is the right time for foldable phones-tablets. Microsoft aims to create a new category of devices with the rumoured Andromeda. Needless to say, Microsoft is known for envisioning wild hardware ideas, and the Surface 2-in-1 lineup is one of the perfect examples. ZTE has already launched the Axon M with dual-displays, but Microsoft is thinking about something better and innovative. Dell is reportedly working on a foldable dual-screen devicewith Windows 10 as well, and it’s codenamed Januss. Over the years, Microsoft published several patents to indicate that it might introduce a foldable device this year, and by the looks of things, it’s likely that OEM partners will also join the push next year. A foldable mobile device would be easy to carry around and pocketable. Microsoft in a patent application explained the easiest way to increase the display size is to introduce a dual-display device.